Monday, August 17th, 2015 at 10:19am. 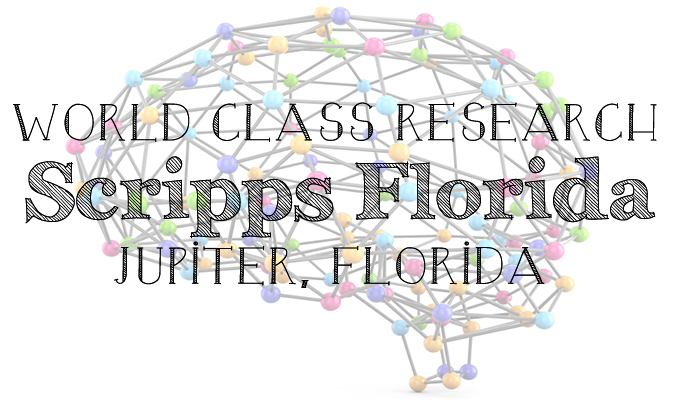 The Scripps Research Institute of Florida is located in the humble, seaside town of Jupiter, Florida. This world-class research institute is paving the way in scientific discovery. Scripps Florida provides “a rich intellectual environment and cutting edge facilities for its researchers, who conduct studies at the forefront of basic biomedical science, drug discovery and technology development.” Some of the specific research fields Scripps leads the nation includes: translational research, chemistry, cancer research, immunology and microbial sciences, metabolism and aging, neuroscience and molecular therapies.